Weekday mornings can be rushed, but with a little prep the night before, you can experience Overnight Success with Quaker Overnight Oats. 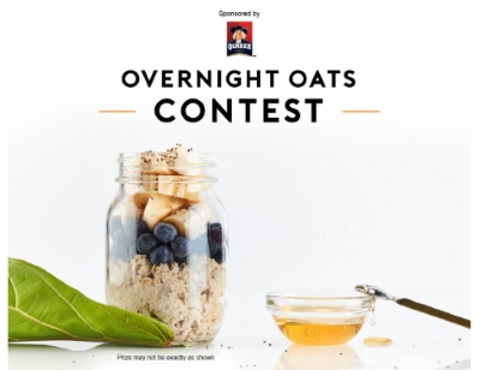 Create your own Overnight Success by entering for a chance to win 1 of 15 Quaker Overnight Oats kits including Quaker Oats, spoon, mason jar, recipes and a $20 prepaid credit card. Open to residents of Canada who are Tasty Rewards members. Contest closes May 19, 2017.